Makapuu Landing Zone: Raining Up! Airtime chasers were mostly defeated today. But Frank and AK Jason (and possibly others) flew today at Koko Crater. How about some ink, Frank or Jason? 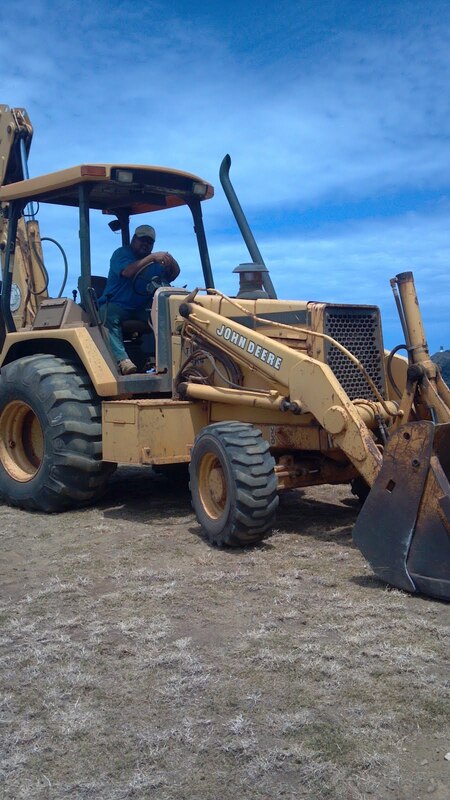 And a news bulletin: the Makapuu irrigation system is now under repair. The crew is putting in a manually operated valve, and I cordially and gladly offered our services to operate this valve periodically when needed. I am going to meet with Alfred of Parks and Rec tomorrow to get the instructions. Presently they have the main valve marked and ready to go. The actual LZ has not been torn up, just a strip along the lower section closer to the lower parking berms. Upon completion, the HPA and HHA may make some kind of duty roster to operate this magical valve. Possibly we can seed this at some time and make a truly great LZ. Wow, if only our launches could be so lucky! I was down there this morning when Leo was talking to them. 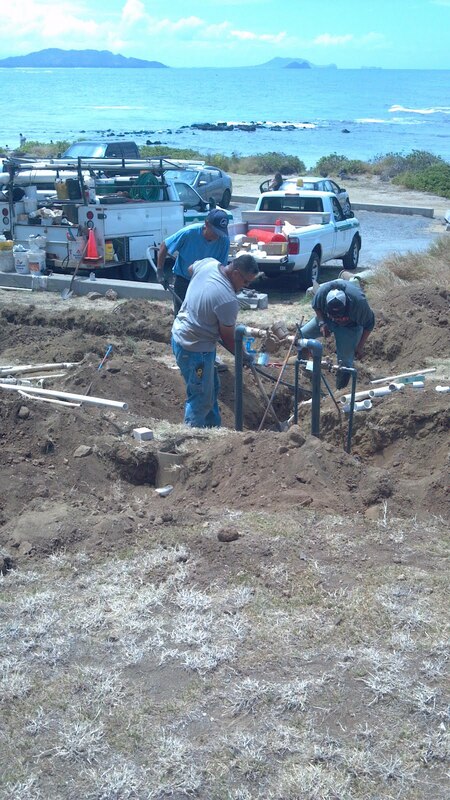 The workers said they were just installing spigots at the parking area, one by the LZ and one by the beach. He never mentioned sprinklers. Leo was worried about running into the valve piping on approach. It was not complete when I was there. Will try to get there today. Dave G. has been notified as well. They should have notified him of this prior to starting. I was told that the sprinkler lines that are still in place and could be activated by a valve that we will all have to take turns starting. Cool, I hope it works out and isn't a problem for the hang gliders. Thanks for helping with this, Sidehill.